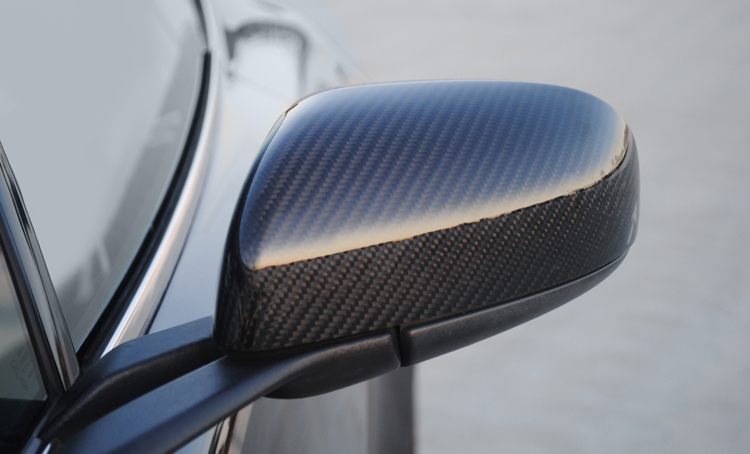 The carbon fiber mirrors are the same as the carbon fiber caps found on the new V12 Vantage Zagato. The mirrors are complete replacements, not just covers for the current body color mirror caps on the current cars. These mirrors are simple to attach, and can easily be fitted without having to take your car to an Aston Martin dealership. Sold as a pair.